The 2018 Odyssey is back, and more popular than ever! They are getting scooped up so quickly, that this 2018 Odyssey EX had to be photographed in the parking lot! Even outside, it looks amazing in the “Crystal Black Pearl” paint colour, and comes with a brown fabric interior. Under the hood is a 3.5L, 24-valve, Direct Injection, SOHC, i-VTEC, V6 engine with a 9-speed automatic transmission. This creates an average fuel economy of 12.6/8.4/10.7 L/100km (city/highway/combination). The fuel economy can be pushed further with the use of the Odyssey’s Eco Assist and ECON button. The 2018 Odyssey EX sits on 2-tone, 18 inch aluminum-alloy wheels, and is embellished with chrome door handles, an active shutter grille, and a rear roofline spoiler. The Odyssey’s centre row of seats feature the Magic Slide system, and the back row are easy-folding Magic Seats. Loading up is simple with the convenient proximity key entry, pushbutton start, and remote engine starter. No Odyssey would be complete without the signature Honda VAC; Honda’s unique in-car vacuum system. 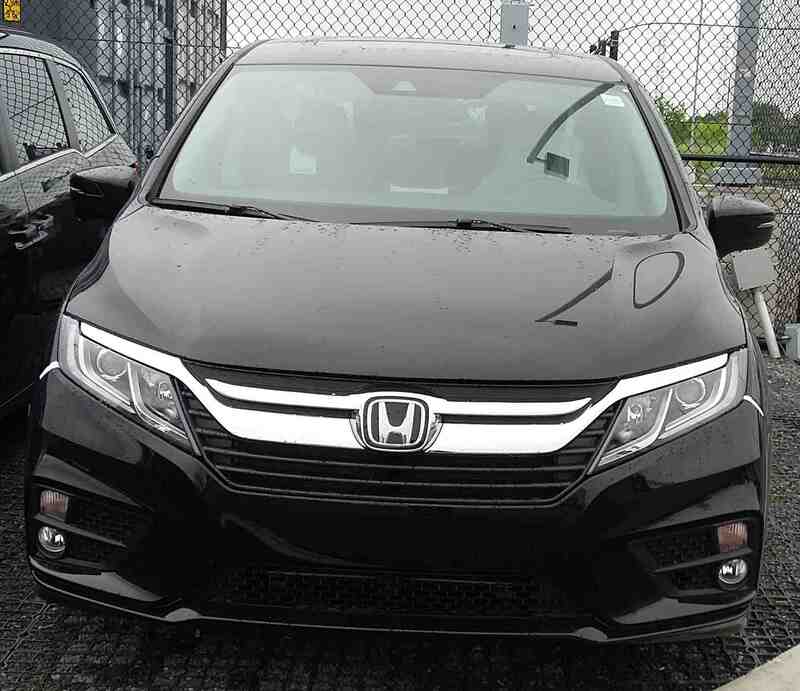 The EX trim level includes a great assortment of Honda’s safety and entertainment technology. 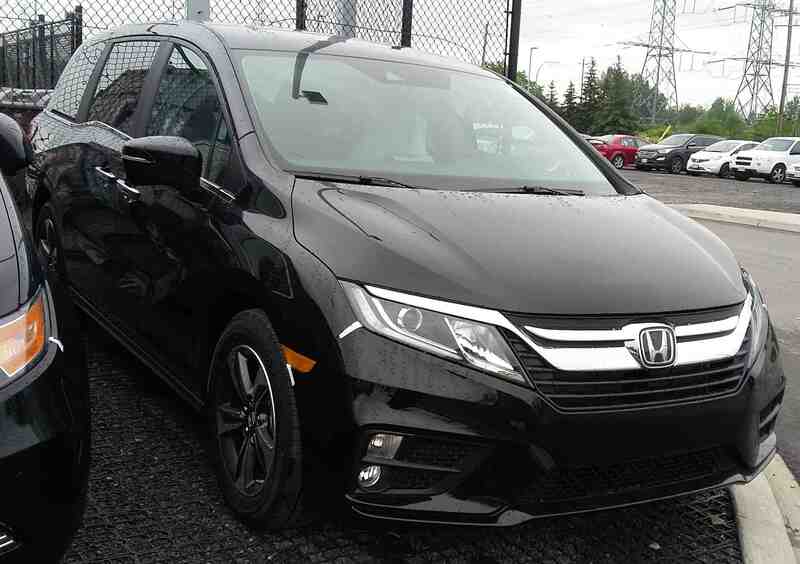 It comes with the entire Honda Sensing package of safety features, which includes the Collision Mitigation Breaking System, Forward Collision Warning, Lane Departure Warning, and more! In addition, it has HondaLink Assist, LaneWatch blind spot display, and a multi-angle rearview camera. To make handsfree calls, access GPS, or connect to apps, there’s Bluetooth Streaming Audio, Bluetooth HandsFreeLink, HondaLink, Apple CarPlay, and Android Auto compatibilities. If you have any questions about the 2018 Odyssey, click here to contact us! Click here to learn about the new technology found within the 2018 Odyssey!